Efficiently routing and handling customer phone calls, chats, e-mail, and other media are what drive contact center productivity. Contact centers need to respond rapidly to changing customer and market demands. 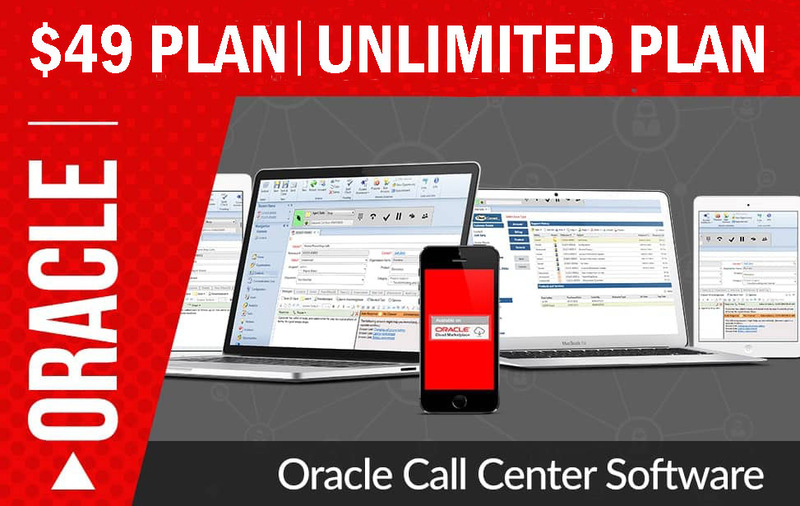 Oracle’s Contact Center Anywhere is the only contact center solution that makes it easy to adapt even the most granular routing rules in real time. This sets the stage for maximizing revenue, improving your contact center’s efficiency, and building a loyal customer base. The conventional method for defining routing patterns is to set up multistep tables that apply instructions to transactions for each business need or phone number. This time-consuming task requires a significant amount of proprietary training and expertise. Contact Center Anywhere uses a new, menu-driven approach to defining transaction routing rules. This innovative method allows users to create routing scenarios faster and more easily. With Contact Center Anywhere, system setup and routing rules are defined in a few short hours instead of day or weeks, as is the case with most traditional contact center solutions. Administrative users map requirements to functionality through use of Contact Center Anywhere’s menu driven administration tool. Administrators begin by establishing a library of systemwide routing components such as announcements, on-hold music, agent scripts, data sources, and URLs. Once the libraries have been completed, defining workgroups and routing is simply a matter of choosing options from menu-driven dialogs. With the Contact Center Anywhere Automatic Call Distributor, multisite organizations can unify all locations with a new approach to skills-based routing. This unique approach empowers companies to leverage a global pool of agents and connect each customer with the particular agent best qualified to manage the transaction in the shortest amount of time-regardless of where the agent is located. This approach brings dramatic productivity gains and increases the quality of customer service delivery and customer satisfaction. The solution also makes it possible for companies to fully integrate all communications channels on a single global network, allowing them to deploy multichannel agents at diverse locations. Companies can also provide consistent customer treatments across the phone, fax, and internet by deploying multichannel agents as appropriate. No matter how customers interact with your contact center-through voice, e-mail, or chat session-they expect an outstanding experience with timely and personalized service. The fundamentals of multichannel routing are the same as those for routing voice calls-to connect the customer with the most qualified agent, regardless of where the agent is located, as quickly as possible. Contact Center Anywhere extends its sophisticated routing rules beyond voice to all media types. At the core of optimized multichannel routing is the ability to identify any transaction in any medium and route it based on who the customer is, what type of inquiry it is, any other predefined criteria, and the current activity levels in the contact center. With the flexible Contact Center Anywhere, you can conduct business and service your customers any way you want. You can process voice calls, e-mail, and Webbased transactions to a single group of agents, route them to specialized agents in different groups, or perform a mixture of both. For example, you can specify the maximum length of time an e-mail can sit in the system before an agent handles it. In addition, the system will identify if the e-mail is from your best customer, and then change the priority and have an agent handle it immediately. And multisite and multichannel reporting is finally a reality. Skills-based routing has also changed the way call centers are provisioned. You can now define agents as members of multiple groups, instead of strictly allocating them to one group or function. You can also assign skill attributes to agents, which determine the types of contact they can receive. Contact Center Anywhere offers a new and innovative approach for contact center skills-based routing that increases agent productivity while improving customer satisfaction. This new feature is called 3-D (multidimensional) routing. Using menudriven provisioning, administrators associate agents with business workgroups, such as sales, customer service, or collections; assign agent skill or knowledge sets, such as server or printer expertise; and, finally, identify a proficiency level for each of the agent’s skills. Contact Center Anywhere then routes contacts based on a weighted skills-based calculation, a significant differentiator over basic binary skills-based routing. Whereas binary skills-based routing assumes that all agents have the same level of proficiency in each skill, weighted skills-based routing considers each agent’s skill level when it makes the routing decision. Contact Center Anywhere can effectively route communications to the agent best equipped to handle them, using a weighted calculation, which takes into account any number of skills. Computer telephony integration no longer has to be a complex, expensive, and timeconsuming project. Setting up a screen pop of customer information from a customer relationship management (CRM) system or other external source is another simple, menu-driven capability of Contact Center Anywhere. During the system provisioning, Contact Center Anywhere identifies associated CRM systems in the library. When a transaction arrives, either the system gathers customer ID information from the automatic number identification, URL, or e-mail header, or it prompts the customer to enter an account number. It then passes this information with the transaction session to the agent’s desktop and presents the customer’s file from the CRM system. Oracle’s Contact Center Anywhere can also query an associated database for customer information and return the results to the agent or caller.